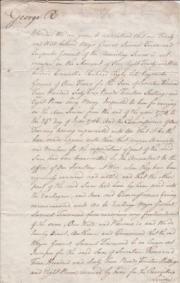 Nine manuscript documents relating to the death and estate of Major Anthony Coane, 73rd (Perthshire) Regiment of Foot, who died in Kandy, Ceylon [Sri Lanka], in 1819, including an inventory and account, and a covering letter from Lieut. Minter. 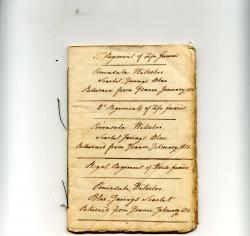 The nine items all from Kandy, Ceylon [Sri Lanka], and dating from October 1817 to January 1819. 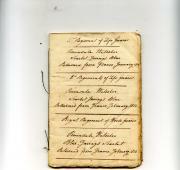 The nine items in this collection provide valuable information regarding the management of the estate of a Georgian colonial British army office. Coane's battalion had served in New South Wales and Van Diemen's Land between 1812 and 1814, and had been in Ceylon (under Lieutenant-Colonel Andrew Giels) since 1814 by the time Coane died on 5 January 1819, his demise much regretted by his superiors. 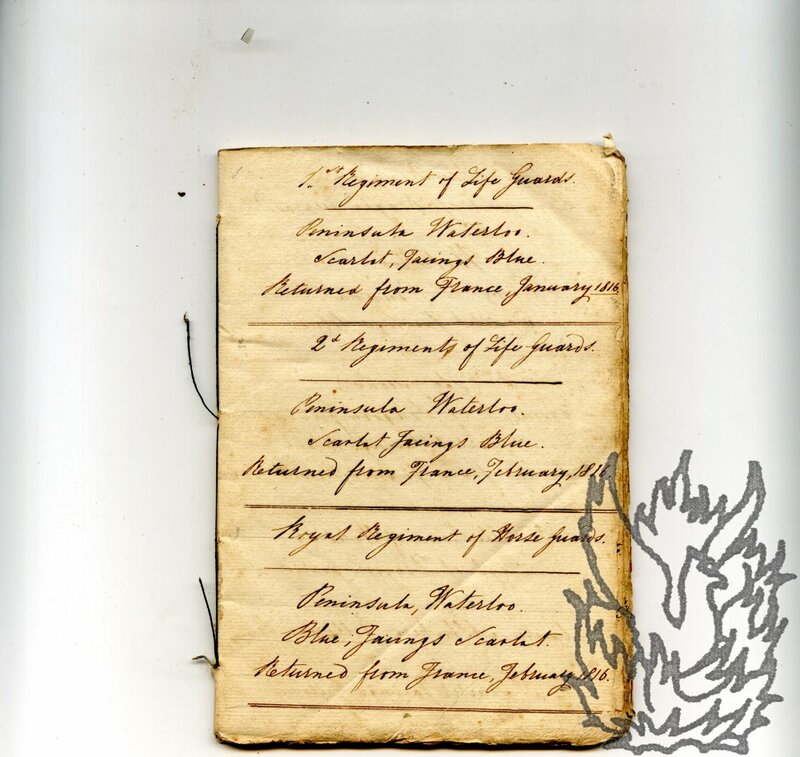 The nine items are on aged and worn paper with chipping to extremities. 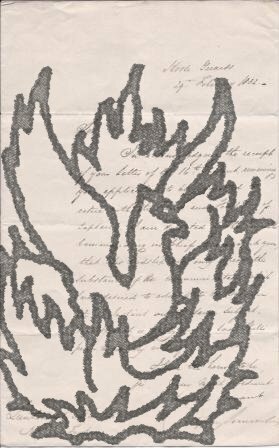 ONE: Autograph Letter Signed from 'G[eorge]. Minter' to unnamed recipient. Kandy; 29 December 1818. 4pp., 12mo. Bifolium. 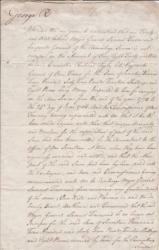 Letter 'dated Cape Town May 10th 1797', on paper also with watermarked date '1797'. 2pp., 4to. Good, on lightly-aged laid paper. 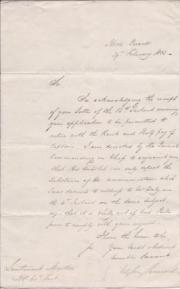 Bower begins by stating that he is sending 'a Copy of a Letter which I have received from Dr Carm Smyth [James Carmichael Smyth (1742-1821) of the Middlesex Hospital]'. Smyth's son (the future Sir James Carmichael-Smyth) is 'a very fine handsome young man Lieut in the Engineers come out a Passanger [sic] in the same ship with us'. Bower and Smyth 'wisely went into the Boat which was lashed to the Stern Gallery to fish sharks which were following the ship - the Boat suddenly canted round in the slings, upon which poor Smyth went plump into the sea'. A., Typescript (gestetner or similar), paper wraps, 70pp., sm. folio, wear and tear to spine, sl. grubby, a few marks, mainly good condition. Inscribed "Daniel Day-Lewis" with underlining and a few notes in his hand. Not listed among his roles on relevant websites. B. Two photographs, one with two duplicate images of Day-Lewis when quite young (Bedales tie? ), 9 x 14cm; the other, almost full length holding baby on his shoulder [his son was born in 1995], inscribed by him on reverse, "Happy dressed father with unconscious naked son | I:x:95", 12 x 18cm. 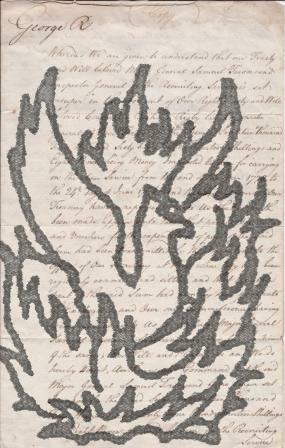 C.
A piece of laid paper, roughly 8 x 20 cm, cut from a document by an autograph collector. Yorke's signature, large (4.5 x 7 cm) and bold, is in the bottom right-hand corner. 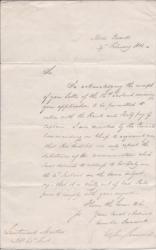 The surviving text is in a secretary's hand, and reads: '<...> of Our Reign. | By His Majesty's Command. | C Yorke | Our Trusty and Wellbeloved William Gordon Esqr General in Our Army & Col of Our 71st (Highland) Regiment of Foot or to the Officer appointed by him to raise Men for Our said Regiment'.